The Master Keys System will not only outline how important positive thinking is it will guide you through practical lessons that will make it easy for you to change your entire way of thinking. 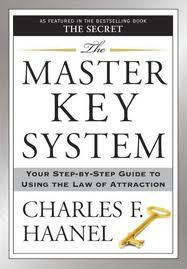 Long before Michael Losier and James Arthur Ray reminded the world just how affective the power of positive thinking could be in Laws of Attraction and The Science of Success Charles F. Haanel had mapped out a twenty four lesson program that, when followed, realizes tremendous results. Success is right around the corner, this book holds the key.